When it's time to get comfortable, it's time for York® air conditioning & heating! Contact Arctic Heating & Air, Inc. today for the best service in the Los Angeles area! Learn More about HVAC products, terms, tips and rebates on our air conditioning and heating support page! 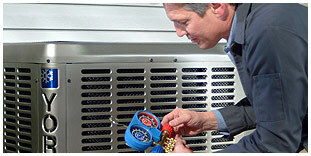 We service all makes and models, and recommend York for the finest in efficient HVAC products. Welcome to Arctic Heating & Air, Inc. Online! With professional technicians, Arctic Heating & Air, Inc. guarantees to bring you and your family quality installation and courteous, friendly service that will exceed all of your expectations.